If you are a regular reader you will know I have a particular love for Cherry Bakewell so whilst perusing Ocado for some new cereal I came across Shredded Wheat Cherry Bakewell and got a wee bit giddy. Given my sheer disappointment over Waitrose’s Cherry Bakewell Granola I am hoping that Nestle can pull it out the bag here and deliver. £2.49 for a 430g box isn’t too shabby. This Cherry Bakewell cereal is high in fibre and whole grain, has no artificial colours or flavours and is suitable for vegetarians. If you have allergies then beware as aside from the obvious wheat and almonds these also contain peanuts. I do question where peanuts come into play here with cherry bakewell but then I also question some of the other ingredients like vanilla flavour crumble mix. 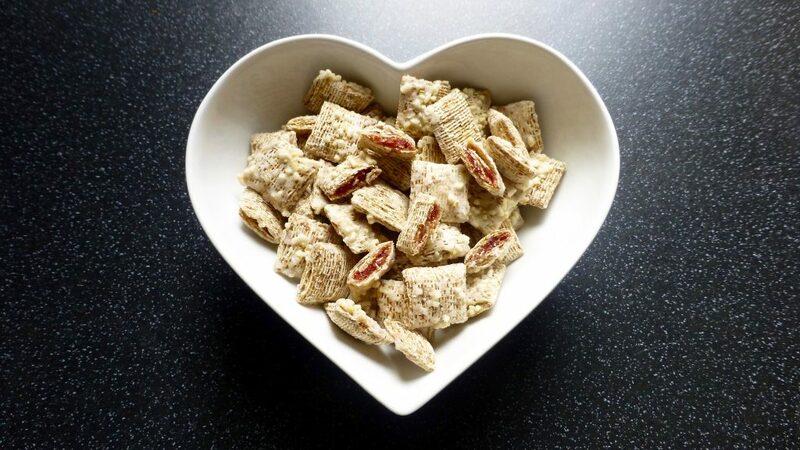 Each pocket of Shredded Wheat was covered in varying amounts of nuts and what looked like sugar syrup, with the innards of the red cherry filling, doesn’t it look delightful. 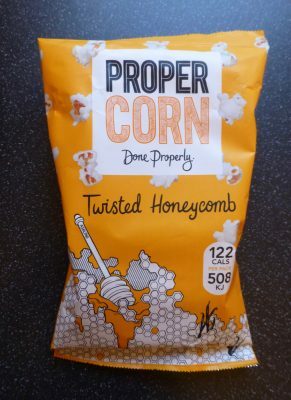 I gave these a try both with and without milk and aside from the obvious sogginess with the milk, the flavour remained the same. 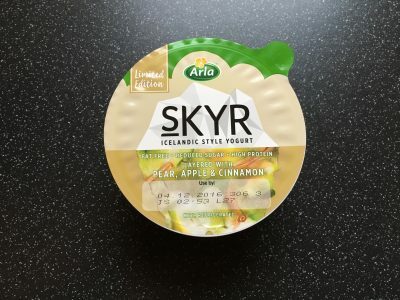 The cherry filling was sweet and subtle but as you munch on through the cherry flavour does become more intense, and isn’t as artificial as I expected. At first I was curious as to where the almondy flavouring was but I think it was a rogue one as I’m pleased to say that the almond flavour came through to give us…. Cherry Bakewell! 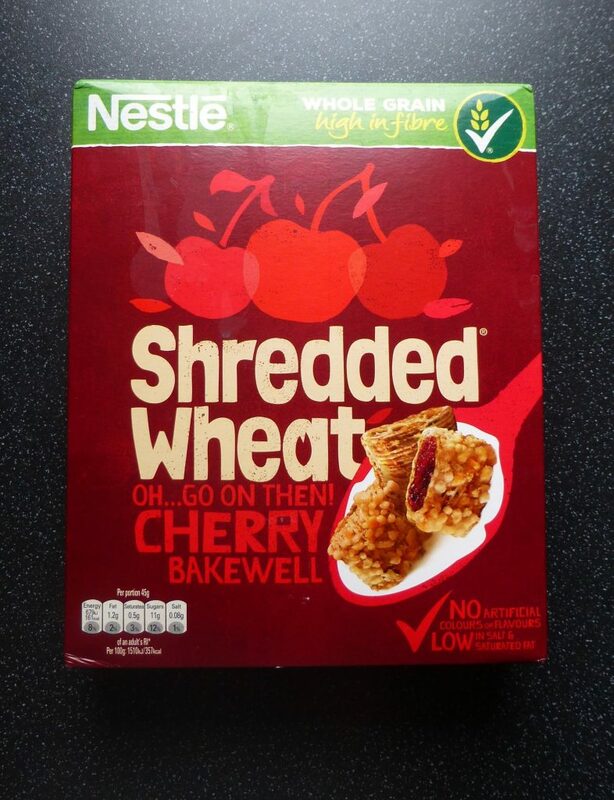 Huzzah Nestle have made Shredded Wheat Cherry Bakewell that actually tastes like Cherry Bakewell! This is a sweet cereal and if you had a big old bowl full you will probably be bouncing off the walls an hour later. That said bravo Nestle! Oh Nibs, you must try this with hot milk. It’s incredible!